I’ve waited for the release of Australia Illustrated with great anticipation. It has been inspiring to watch from the sidelines as author/illustrator Tania McCartney focused her considerable creative energy and talent into developing her illustration skills and I knew that when this book was published it would be something special. Beautifully presented with in a textured hard cover format, Australia Illustrated is a treasure trove of images of Australia. Travelling from state to state (and territories, of course), there are illustrations of iconic buildings, geographic features, foods, celebrities, activities, animals, plants, and a multitude of other items that represent the Australian lifestyle and culture. Australia Illustrated is the kind of book I loved as a child. So many details to notice and enjoy. Each double page spread has so much to see and think about. The illustrations capture the imagination and present Australia as the diverse, interesting, quirky, and beautiful land we know it to be. This engaging book captures so many details that make living in Australia such a unique experience. It is a gorgeous book to give as a gift to expat Australians or to friends overseas, but it will also be endlessly fascinating for young (and not so young) Australians who appreciate the beautiful land we call home. 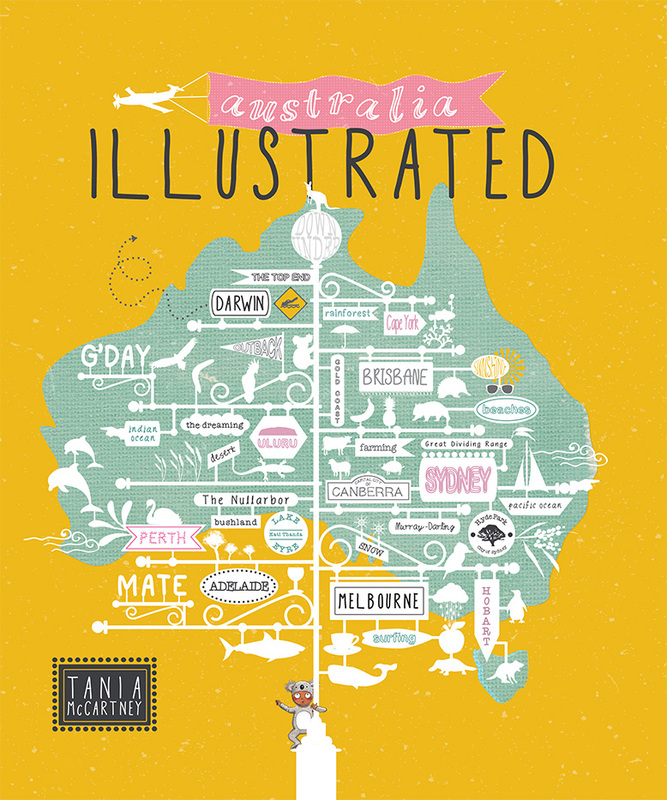 Australia Illustrated is a book that will be treasured and returned to again and again by eager young readers. I am not at all surprised that Tania has produced such a brilliant book as her first venture as an author/illustrator, and I can’t wait to see what project she works on next now that her ability as not only a versatile author but also a talented illustrator has been so clearly established. 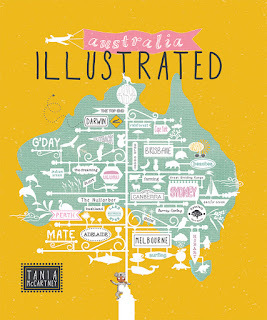 Ideal for school, home and as a gift, Australia Illustrated is sure to find a home on bookshelves all over the country. I agree! I loved the way so many of Australia's features are portrayed in a way that prompts us to think, react and enjoy. More importantly, I know kids will enjoy sharing it with their friends!